Kristen Connolly and Anna Hutchison at the World Premiere of "The Cabin in the Woods." Kristen Connolly at the World Premiere of "The Cabin in the Woods." Alexander Poe and Kristen Connolly at the New York premiere of "Ex-Girlfriends." Kristen Connolly at the Netflix's "House of Cards" For Your Consideration Q&A in California. Kristen Connolly at the New York premiere of "House of Cards." 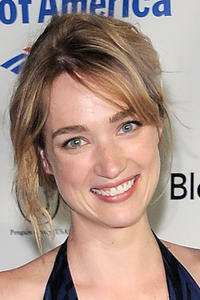 Kristen Connolly at the 2011 Shakespeare In The Park Gala in New York. Kristen Connolly and Lucas Caleb Rooney at the 2011 Shakespeare In The Park Gala in New York. Kristen Connolly at the LA premiere of "The Cabin in the Woods."